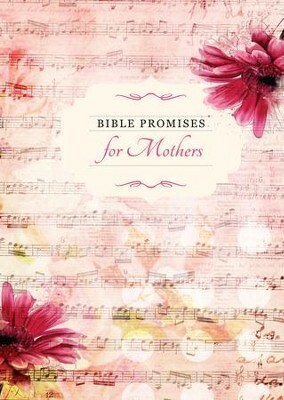 Book of Bible promises for mothers with music notes and flower cover motif. Features Bible Scriptures on various topics to encourage and inspire. Includes lined pages to express your thoughts. Pink hardcover with attached ribbon bookmark; 160 page; 5.25" x 7.25". I'm the author/artist and I want to review Bible Promises for Mothers - eBook.